It is critical to understand the importance of eye contact when you are interviewing. Let’s be clear, you want your interviewer to like you, and the way you manage your eye contact during the interview is an important part of building that friendly relationship. Some people are simply not naturally comfortable in unfamiliar surroundings, and easily avert eye contact. Whenever I see candidates who are reluctant to meet my gaze, my instant judgement is that either they have something to hide, or they are uncomfortable meeting people. But whether I’m right or wrong, this is really not a good first impression to make! I like eye contact as it is one of the key cues to help convey and build trust. Eyes are brilliant at showing warmth and confidence, two big positive factors which will help you along the way in your interview. That said, it also makes sense to avoid outright staring. If you are staring unblinkingly at me, I might then start to wonder if you are unhinged or even on some mind altering substance! So common sense tells us there is a balance there to be aimed for: eye contact is good, as long as it is not excessive. But what does the science say? 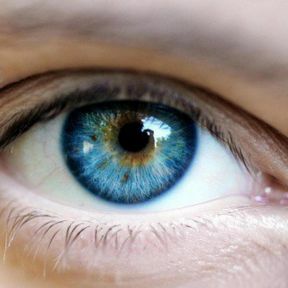 According to this research article from the Journal of Non Verbal Behaviour, it turns out that in a study specifically exploring eye contact during interviews, gazing is always good! So, the interesting conclusion here is that “high amounts of gaze” still resulted in very positive reactions. And high amounts of gaze are much more preferable than limited eye contact. If you know that you are normally not that comfortable holding someone’s gaze, then practice! The evidence is clear, you need to work on it to improve your chances at interview. Bottom line – the eyes have it!